The Part Time Gourmet: Luxury on the half-shell? Oysters have never been more popular. 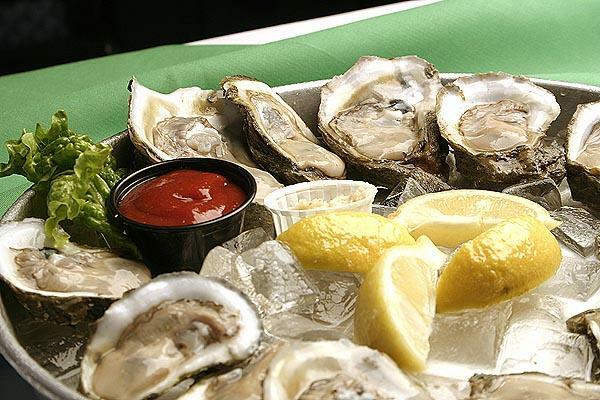 They've been discovered by a new generation of enthusiasts who equate these briny bivalves with the world's most coveted food and drink. "Oysters have developed a winelike reputation," said Garrett Harker, owner of Kenmore Square hot spot Eastern Standard. "People are interested in the appellation. They want to know where they're grown, how they're harvested and who raised them." There are general rules every consumer should follow to ensure they're getting fresh oysters. When purchasing oysters, ask to see their tags. These tags ensure that the oysters came from certified waters and will include the date of harvest. Keep the oysters cold and consume them within 10 days of harvest. Do not store the oysters in water. Keep the oysters as flat as possible, so that they keep their flavor-filled juice. Cutting up a Bell Pepper? Roll it!